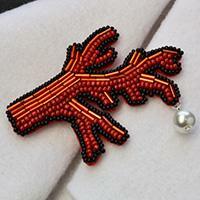 Do you like 2-hole seed bead jewelry? 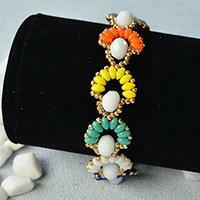 This article will share a colorful 2-hole seed bead flower bracelet with you. Hope you like it. 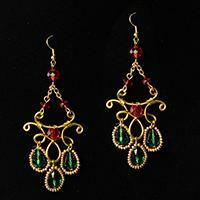 Are you attracted by the following golden wire wrapped and glass bead drop earrings? 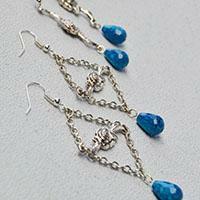 Just check the tutorial below to see how to make the glass bead drop earrings. 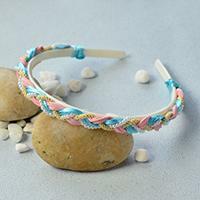 Looking for pearl bracelet patterns? What about the following wide pink and white pearl bead bracelet? Follow me to see how to make this pearl bead bracelet. 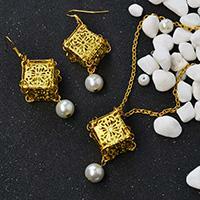 This Pandahall original DIY project is about a DIY jewelry set - a golden cube pendant necklace and a pair of golden cube drop earrings. Hope you like this DIY jewelry set. 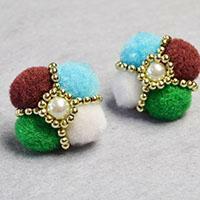 Do you love embroidery jewelry? 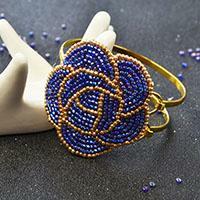 This article will share a blue seed bead embroidery rose bangle bracelet with you. Hope you like it. Looking for DIY pearl necklace designs? 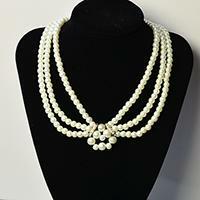 What about the following three-strand white pearl bead necklace? Follow me to see how it's made if you like it. 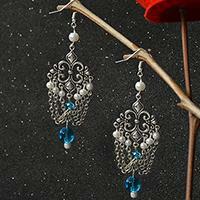 Do you like vintage style earrings? 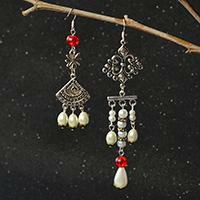 This Pandahall original DIY project will show you an easy way to make a pair of vintage style drop earrings. In this Pandahall original DIY project, you can see a pair of easy chain square bead drop earrings and a pair of easy drop earrings. Hope you like them. Do you like turquoise jewelry? 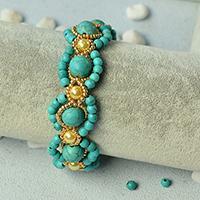 You may fall in love with the DIY turquoise bead flower bracelet below. Follow me to see how to make the turquoise flower bracelet. Do you like vintage style necklaces? 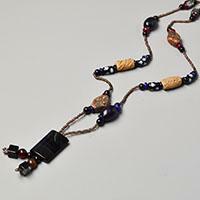 This Pandahall tutorial will share a vintage style bead necklace with you. Hope you like it and enjoy the DIY process. 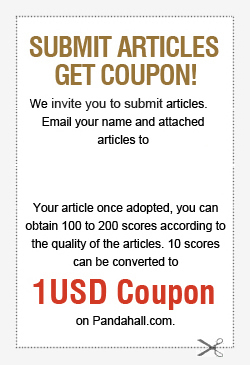 This article is about a red glass bead bracelet. 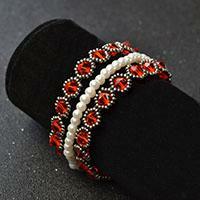 Follow me to see how to make the red glass bead bracelet with white pearl beads and seed beads. Wanna send her a DIY heart pendant this Valentine's Day? 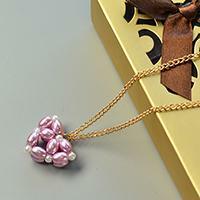 This Pandahall tutorial will show you how to make a purple pearl bead heart pendant necklace with golden chain. 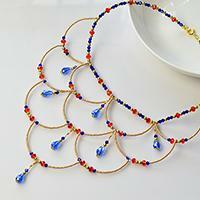 Looking for DIY jewelry sets for wedding? 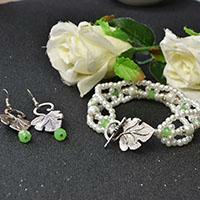 Maybe you can try the following original designed white pearl bead bracelet and leaf drop earrings. Do you like DIY turquoise necklaces? 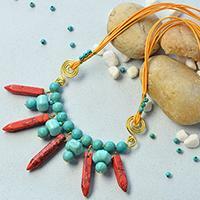 In this article, I'll show you a turquoise bead pendant necklace with bullet gemstone bead dangles. Hope you like it. 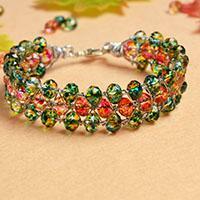 Looking for easy bracelet patterns? In this article, you can learn how to make a green and red glass bead bracelet within two steps.